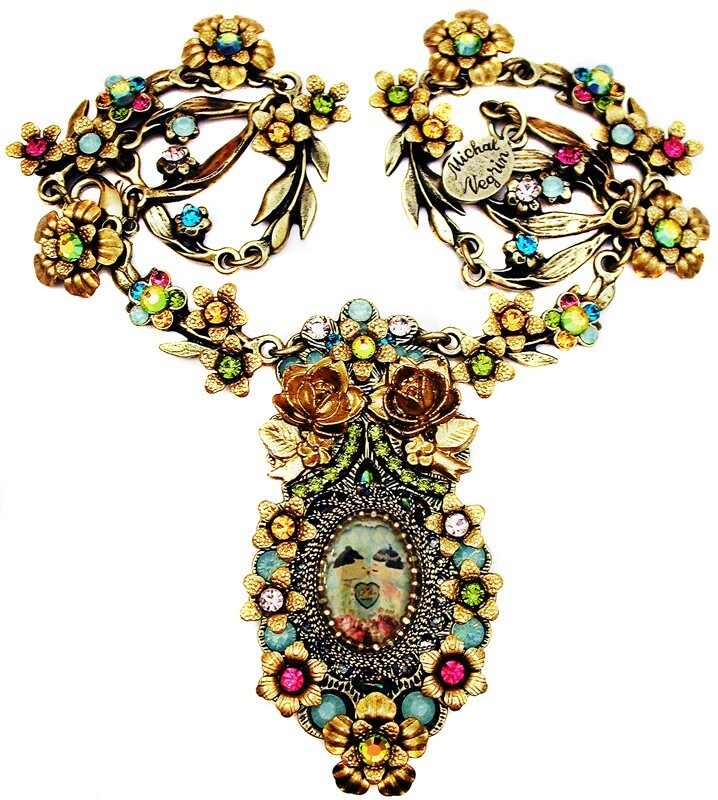 Michal Negrin necklace. With a Dolls Kiss cameo, multicolor Swarovski crystals and painted flowers. The drop measures 2 1/2 inches long and the chain length is adjustable.